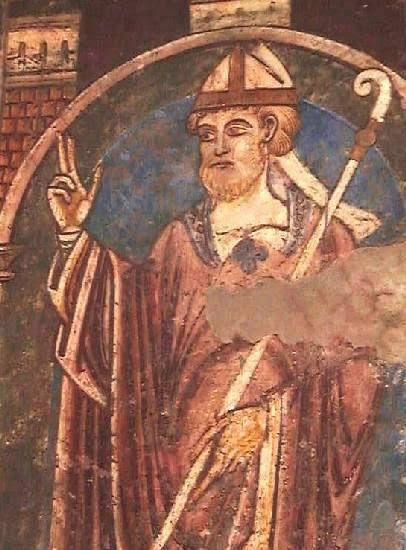 Cuthbert was a poor shepherd boy from the British Isles. Once while playing with some friends, another boy blurted out, "Cuthbert, how can you waste your time playing games when you have been chosen to be a priest and a bishop?" This confused both Cuthbert and the boy who had said it! When he was 15, Cuthbert did become a priest. He would visit people in their homes to help them grow in their faith. Because he spoke the same way poor people did, he was trusted and admired. Not everybody is fortunate enough to have a friend tell them what they are supposed to be doing with their lives! The fact is, God is always telling us and drawing us to the work He wants us to accomplish. Today, spend a few minutes alone with God. Ask Him to tell you want He wants you to do with your life, and then sit quietly and listen. Don’t be frustrated if you don’t hear a clear word today. He will reveal His purpose when the time is right, so just ask again daily.